To mark International Women's Day, this special edition of Witness will introduce you to five women who have been involved in extraordinary moments of history. Browse content similar to International Women's Day. Check below for episodes and series from the same categories and more! 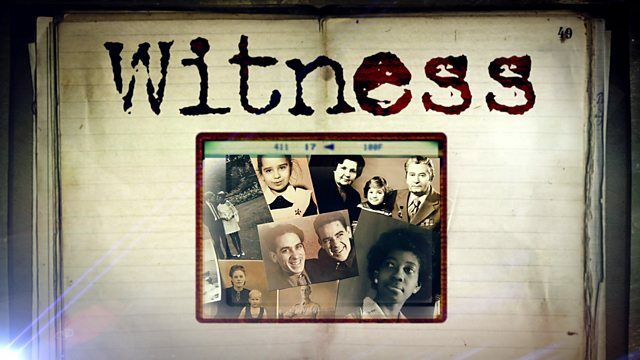 a special edition of Witness. here at The British Library. in the programme over the past year. of Nairobi to talk to her daughter. that I had to do it. surrounded by the beauty of nature. staff at at the university. who were very much like her mother. how to convert conserve the soil. the administration of the day. to which the forest is destroyed. was in hospital, but she survived. at the time that saved it. activist, a women's rights activist. men are taking me now. party of the day, that was gutsy. thought, maybe it is a mistake! which she had never had before. I didn't know anyone was listening. She has left quite a legacy I think. a high-ranking officer like me. under me and 90% were men. There was a dinner party. in front of me, towering above the. and said, up, come on. Come on, you come along with me. away from here, you're misbehaving. slapped me on the bottom. facing all the other people. which is the lesser offences. by this, by this one case. Must be something wrong with me! the mindset of a society. for a country under siege. They became known as the land girls. And Mona McLeod was one of them. what I did was worth doing. their bit and a bit more! And so I said, yes, daddy. on the train for Scotland. of the week they have all gone dry. I ought to be sent to the stables. for keeping you warm in winter. and my heels and my toes. you didn't have to be freezing. to suffer to win the war. quite separately on different farms. girl ever was four miles away. to go on for five years. You just went on, went on and on. experience as a land girls. experience as a land girl. part in a male dominated sport. I had one used up race car. sport from the very beginning. and do my own body work. at the limits of human capability. of the United States feels about it. Over 400,000 people showed up. but is until you see them in person. I was going to kill them all. Oh, I was so happy. is a moment you will never forget. want to do is win the thing! what are their driving habits? Who is ahead of you? in the stands at that point. formed and managed to myself. right through to my bone marrow. to see naked women on stage. a decline for its fortunes. So I walked in, I don't know why. can I have an audition, please? I was 14 and a half years old. I didn't realise it was naughty. I think yes, it was! it was a revue theatre. We did six shows a day. were during the Second World War. It allowed nothing to interfere. open throughout the London Blitz. time the answer was yes. or on any stage in the country. when they were on their way! with all the strip clubs. whereas we were still a theatre. and the girls wouldn't have done it. those of us who are still living. at her home near London. of the Witness team, goodbye.